The University of the Fraser Valley women’s volleyball team couldn’t have conceived of a tougher test on opening night, and they showed flashes of their potential in a four-set loss to the reigning national champion Vancouver Island University Mariners on Friday. The Cascades struggled from the service line in the opening set, opening the door for the Mariners to take it 25-19, but they bounced back in a big way, dominating the second set to the tune of a 25-11 victory. Fifth-year captain Kim Bauder led the offensive push, while setter Kara Williams came up big at the service line to allow the hosts to square the match. The third and fourth sets, though, went the Mariners’ way by scores of 25-21 and 25-18. 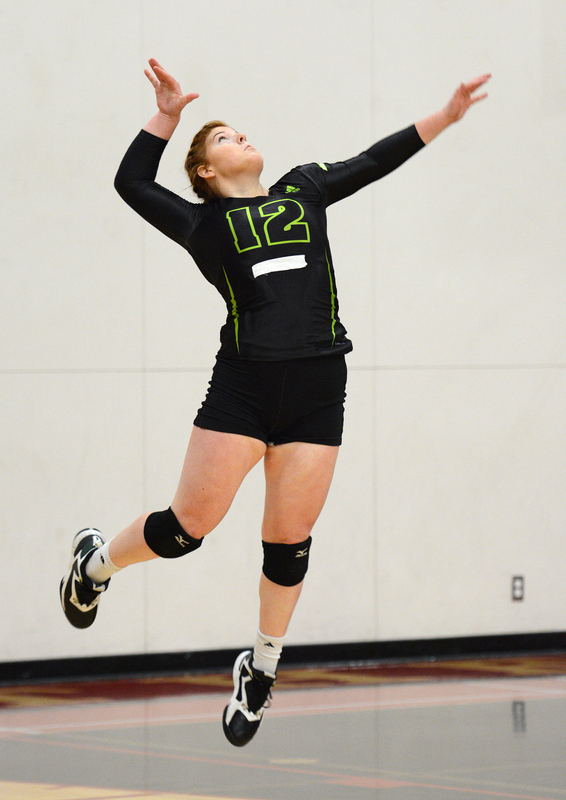 The two teams wrap up the weekend series on Saturday at 1 p.m. at the Envision Financial Athletic Centre, followed by the men’s game at 3 p.m.
“There were definitely times when I was really excited about the quality of volleyball we were playing,” Cascades head coach Mike Gilray said. “One of my comments at the start of the game was that we need to work on being consistent for longer periods of time. At times, we played elite-level volleyball, but we also had some bad stretches where we didn’t make them earn their points. The Cascades had a boom-or-bust performance at the service line. On one hand, they racked up 14 aces including five apiece from Williams and Bauder; on the other, the team combined for 19 errors. Bauder had a big night overall, tallying 15 kills on 41 swings, and fellow left side Amanda Matsui chipped in with nine kills and a team-high 21 digs. Gilray was also thrilled to see his team’s depth shine through. After a slow start to the third set, middles Lauren Poirier and Alysha Cooper and right side Chelsea Kidd entered the game, and they gave the Cascades a spark.